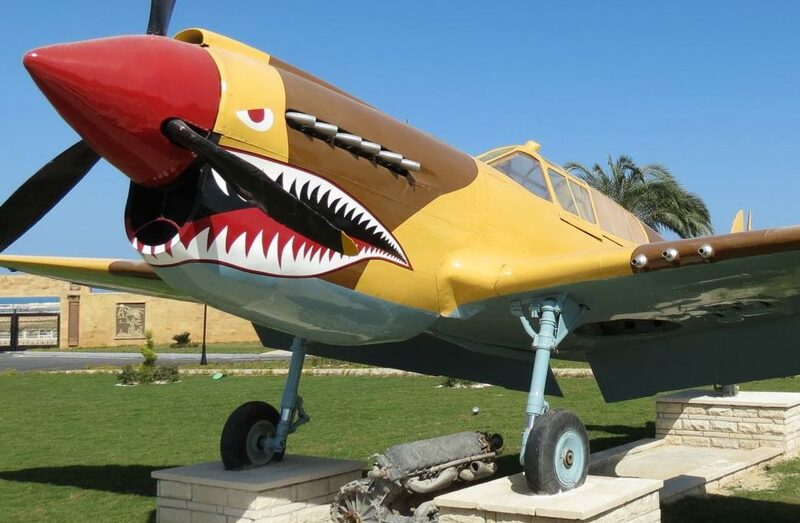 After several years of speculation concerning its whereabouts, a combat-veteran Curtiss Kittyhawk has again resurfaced in Egypt. 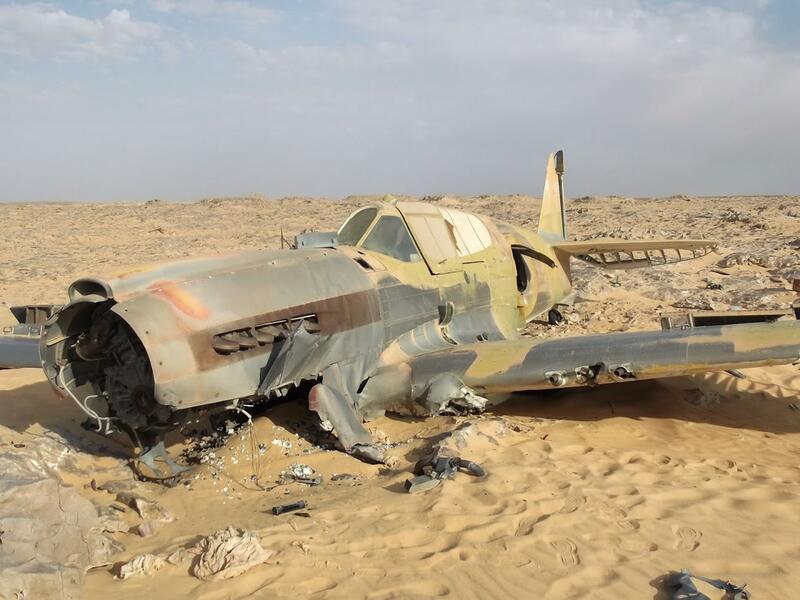 The aircraft in question, Kittyhawk Mk.IA ET574, first came to light during early 2012 when an oil survey team stumbled across the well-preserved wreck in Egypt’s Al-Wadi al-Jadid desert near the El Farafra Oasis. Jakub Perka, a Polish engineer on the survey team, documented the discovery with a series of fascinating images which seemed almost impossible to believe at the time. 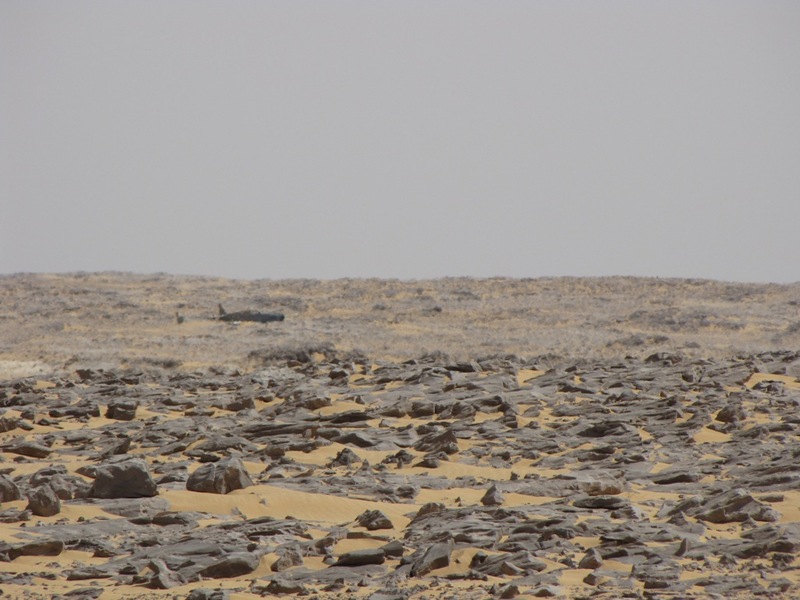 How could this amazingly significant aircraft have survived all these years in the desert untouched by anything but sand, sun and wind? Once historians dug into the story, we quickly learned that the aircraft had belonged to 260 Squadron of the Royal Air Force, and disappeared during a ferry flight on June 28th, 1942 with Flight Sergeant Dennis Copping at the controls. 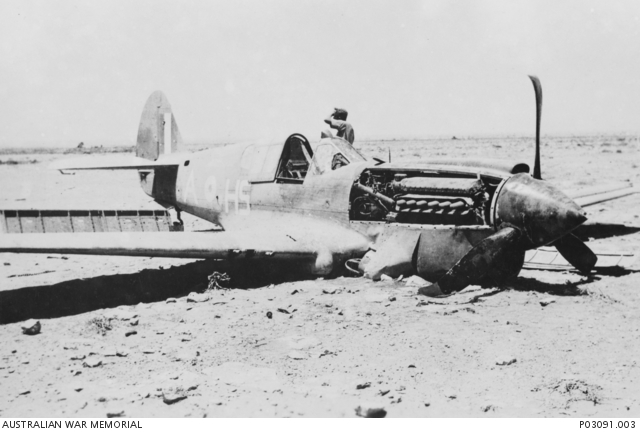 Copping was part of a two-ship formation flying defective aircraft from the landing ground at Biur el Baheira to 53RSU, a Recovery & Service Unit at Wadi Natruna, while the rest of his squadron made a hasty retreat from the advancing German Afrika Korps. 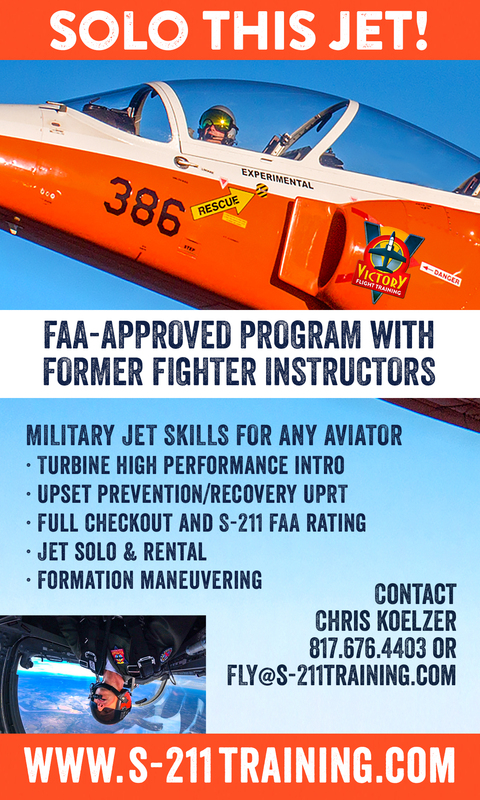 Copping had to fly with the aircraft’s undercarriage fixed down. He had damaged the gear during a hard landing a day earlier; dazzled by the setting sun into misjudging his height above the runway. 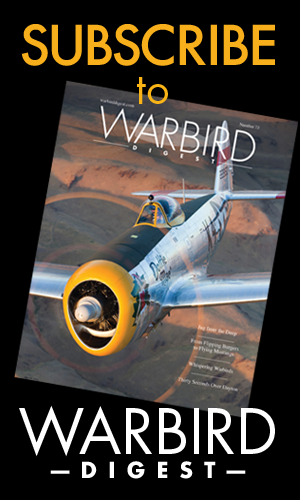 On the flight to the maintenance facility, his wingman noted light, but accurate flak. Unfortunately, Copping got well off course during the melee, but failed to respond by radio, or be persuaded via hand signals to correct his heading according to the pilot flying beside him. Eventually the wingman gave up and made off for his intended destination alone. Sadly, Copping was never seen again. 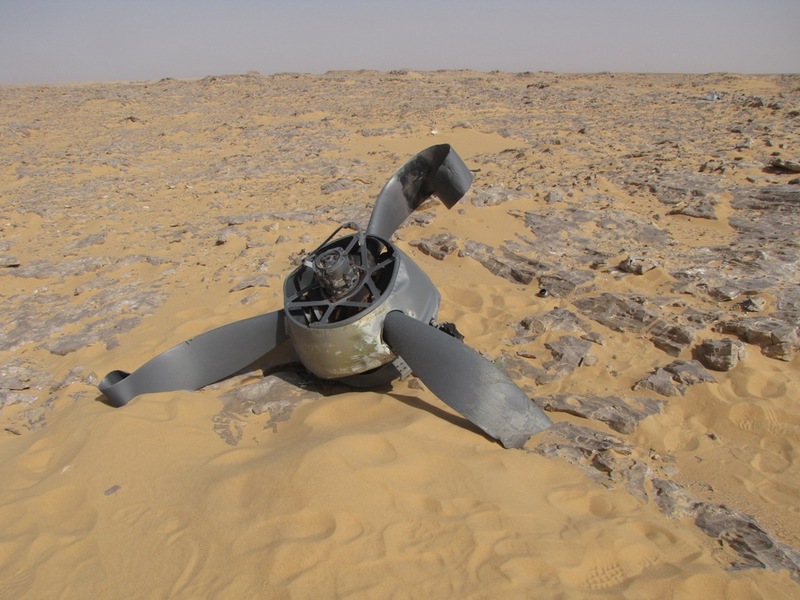 From the images of the wreck in 2012, the propeller’s twisted remains made it obvious that the aircraft had forced-landed under power. 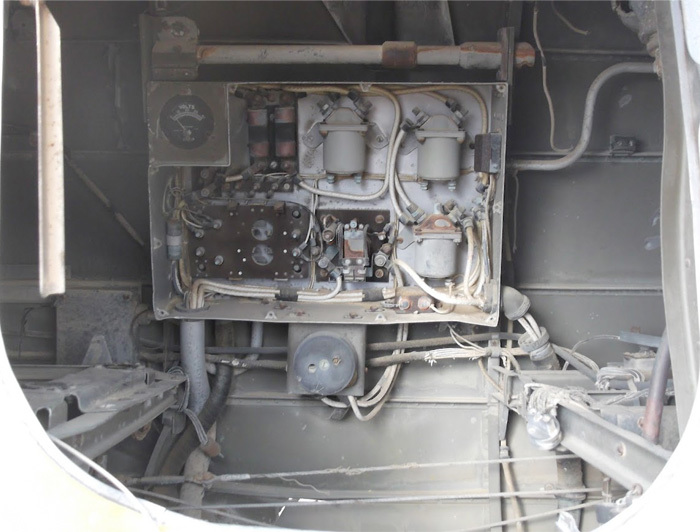 In fact, the entire propeller unit had separated from the airframe, the engine’s reduction gear housing having shattered. The landing gear had sheared off as well, damaging the underside of the wings and horizontal stabilizers. 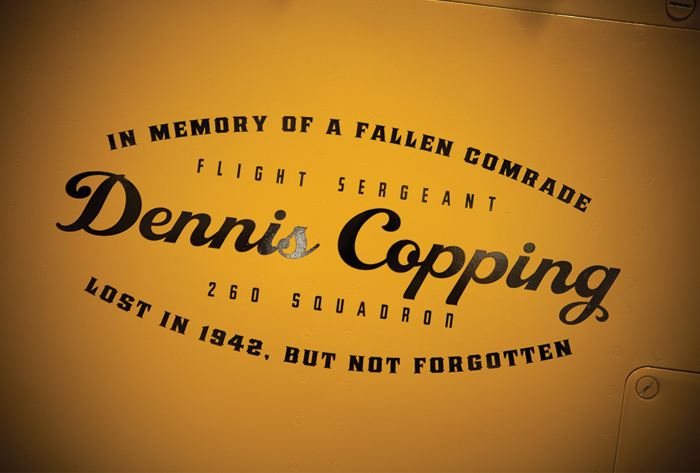 Dennis Copping clearly survived the initial crash though, because his body was not in the airframe nor had he ‘hit the silk’; the remains of his parachute lay near the aircraft’s nose, perhaps erected as a sun-shelter by Copping himself after the accident. 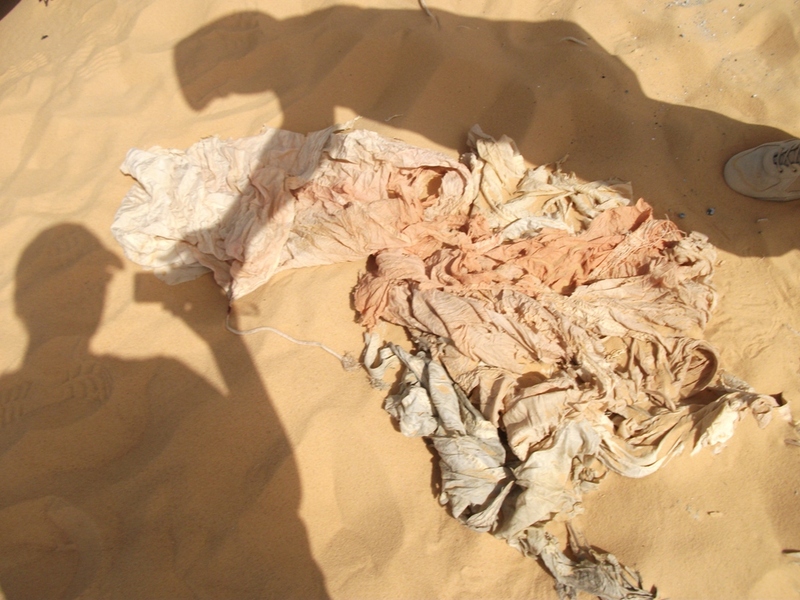 Since no remains were evident near the Kittyhawk, it seems likely that Copping wandered off into the desert in a desperate and ultimately futile attempt to reach salvation. He must have perished alone, under truly awful circumstances. His remains have yet to be conclusively found. 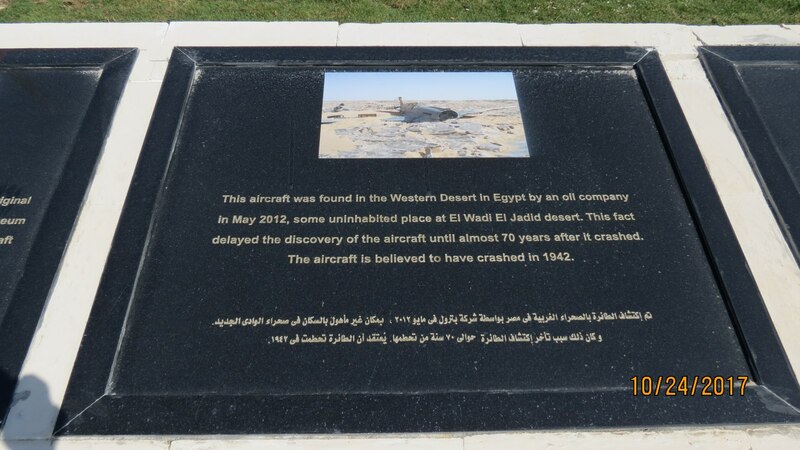 A team of Italians did make a serious effort to locate Copping soon after the wreck’s discovery, but although they found some bones a few miles away from the crash site, the Egyptian authorities never determined if they were those of the pilot himself, and there is conflicting evidence as to whether they even tried. No further attempt to locate Copping seems to have taken place, which is shameful given how eager so many were to recover his aircraft. 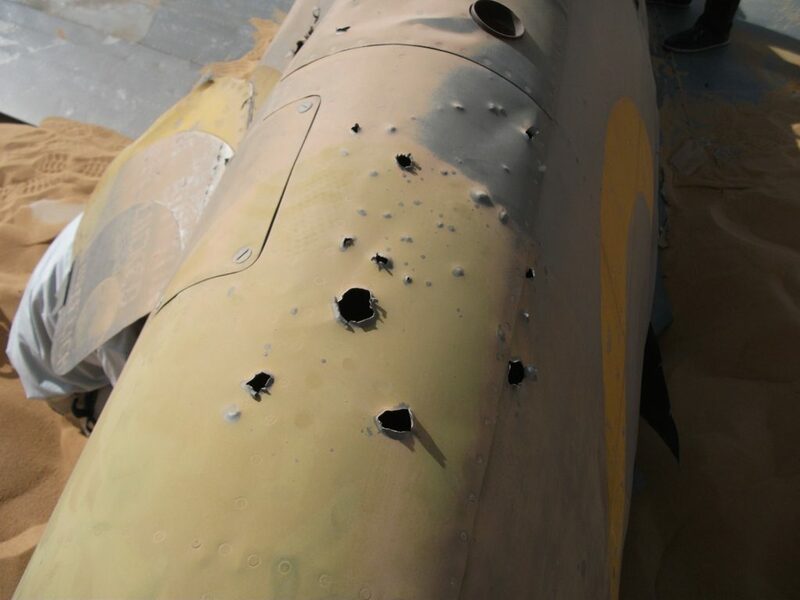 As often happens sadly, vandals followed closely behind the fighter’s rediscovery. 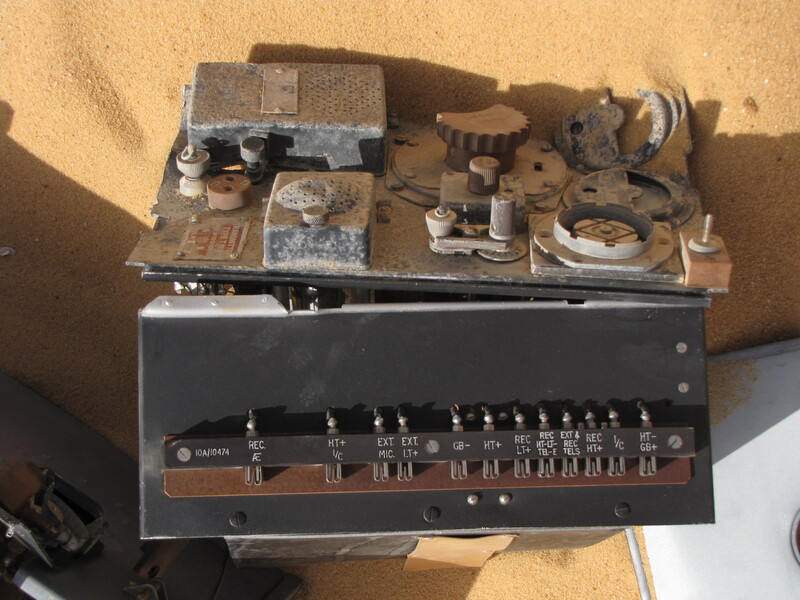 They did a fair bit of damage, though mostly superficial, to this time-capsule of an airframe. Sensing imminent destruction and desperate to prevent it, the Royal Air Force Museum decided to act, and they had to act fast without any guarantee of success. 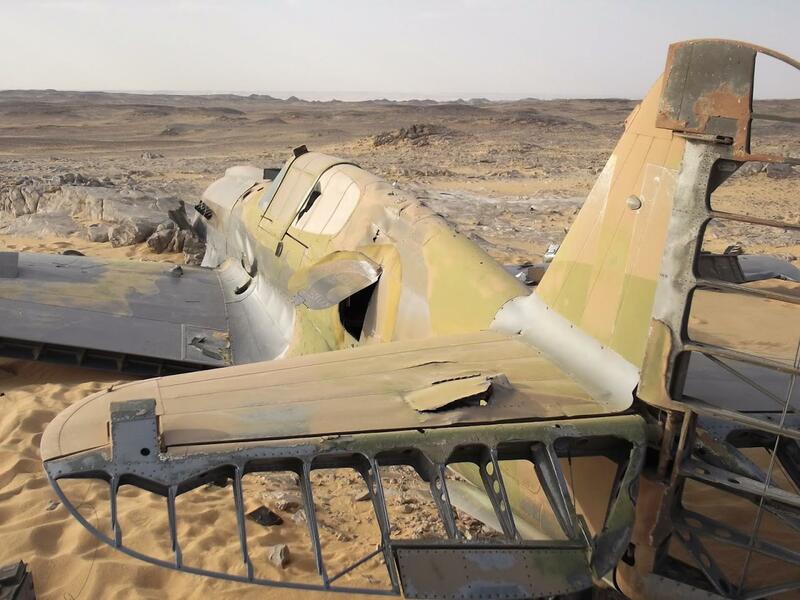 They made an arrangement with the British firm Kennet Aviation (which specializes in restoring and operating vintage WWII aircraft) to send a team of engineers into the desert who would professionally dismantle and transport the Kittyhawk away from the temptations of idle hands. 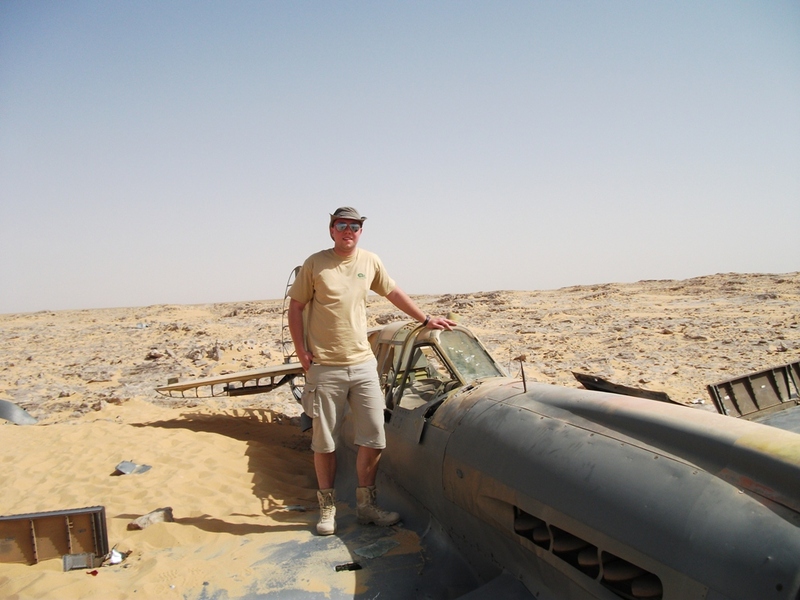 In exchange for Kennet Aviation safeguarding the Kittyhawk, the RAF Museum gave them a surplus aircraft from their collection, Supermarine Spitfire Mk.22 PK664. 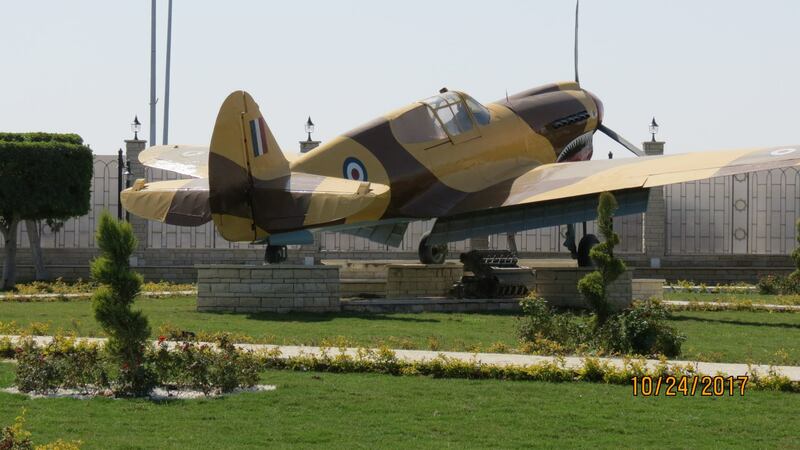 Kennet Aviation’s team was successful in their mission, and placed the Kittyhawk in a storage container for safekeeping in El Alamein, near the ancient port city of Alexandria. 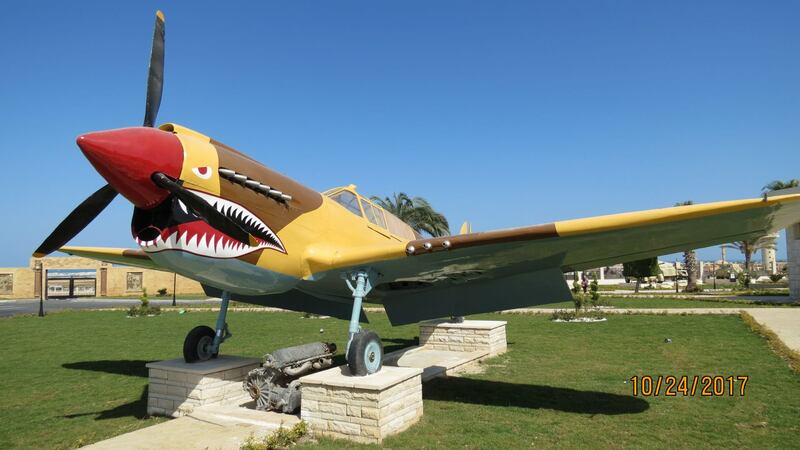 Of course, the Kittyhawk was still technically Egyptian property, but the RAF Museum hoped they could reach an agreement with that country’s government to return the historic airframe to Britain. 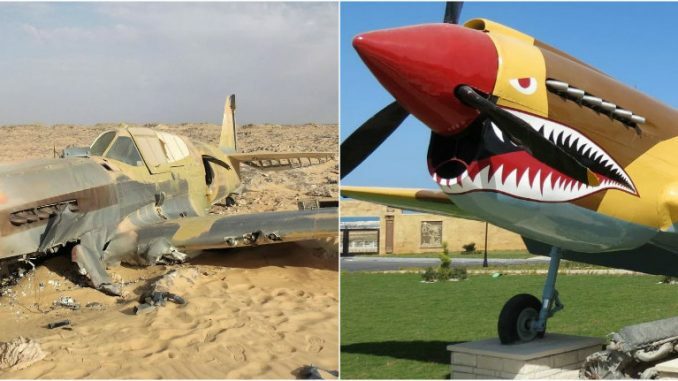 They intended to conserve, rather than restore the Kittyhawk, and display her in a diorama resembling the scene she had endured over the previous seventy years in the desert. 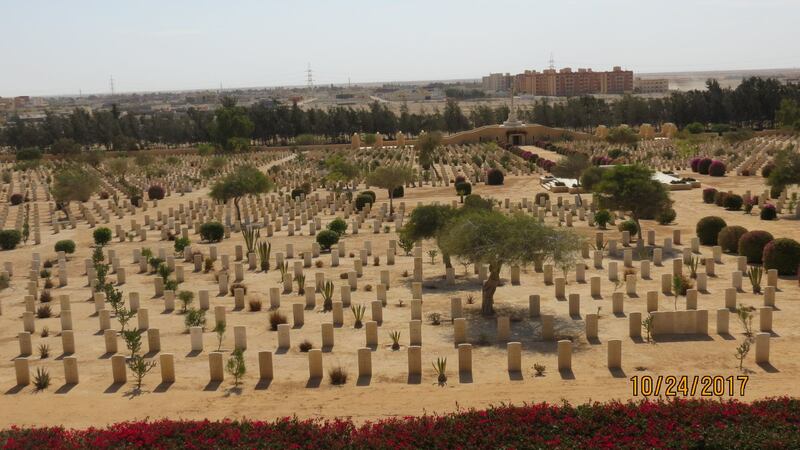 Sadly, Egypt was undergoing immense civil turmoil in 2012, and the newly established government of the day was hostile to the West. Therefore, it was impossible for the British to strike any deal, and the RAF Museum went home empty-handed. This created considerable backlash for the museum a few years later when the notoriously hyperbolic British tabloid press latched onto the story of Kennet Aviation receiving a Spitfire for what they wrongly considered incomplete work. 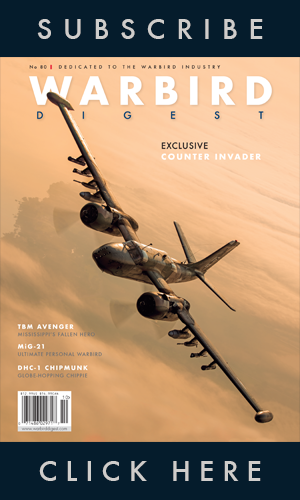 It should be noted that while PK664 is a rare survivor of its mark, it was a post-war example of the breed and of far less historical or monetary value than talked about at the time. In addition, the airframe was essentially just a shell, having been stripped of many components to supply spares to the Battle of Britain Memorial Flight, and its transfer to Kennet Aviation cost nothing in real cash outlay to the RAF Museum, nor indeed the British public. 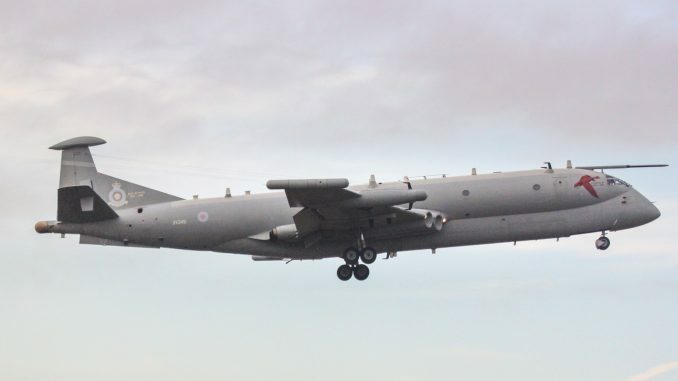 Of course, the tabloids tried to suggest that the RAF Museum had given up a multi-million dollar jewel for nothing, when that was far from an accurate depiction of the facts. 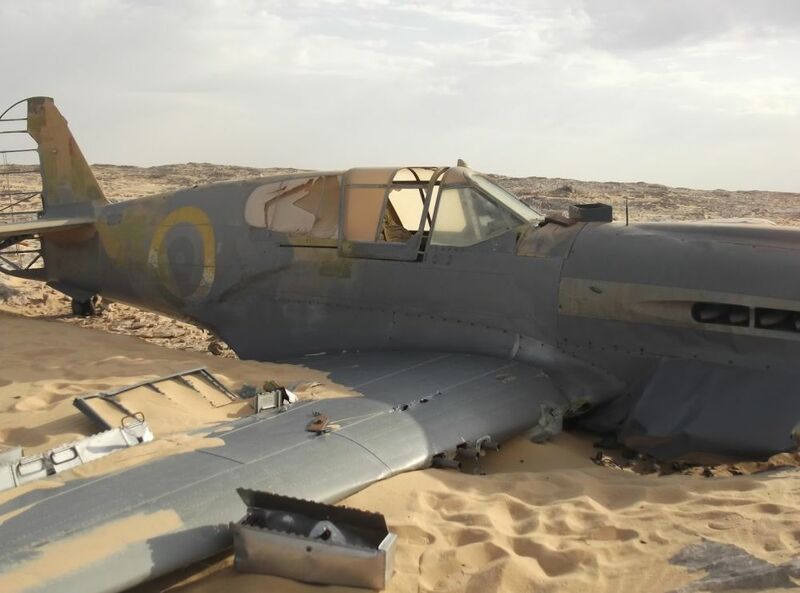 What is undoubtedly true though is that without the RAF Museum’s gamble on the Kittyhawk, this historic artifact would have remained in the desert, and been hacked apart for scrap or souvenirs in short order. The RAF Museum should be applauded for their efforts towards that end. 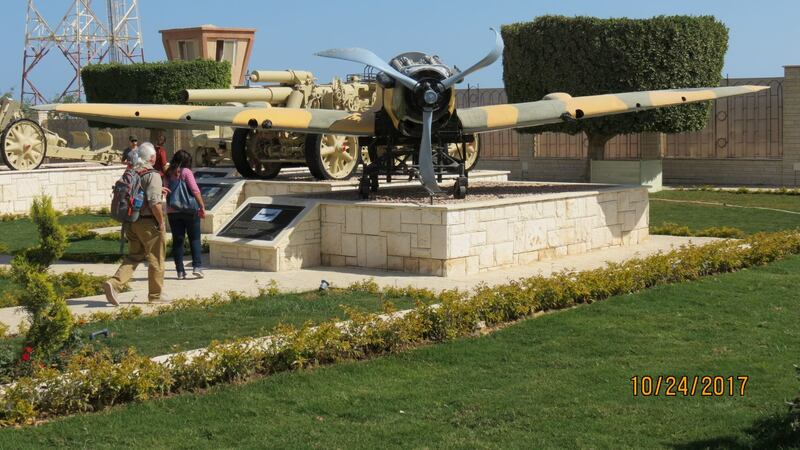 While we do not know exactly what transpired in the intervening five years since her initial rediscovery, the Kittyhawk is now apparently on charge with the El Alamein Military Museum. 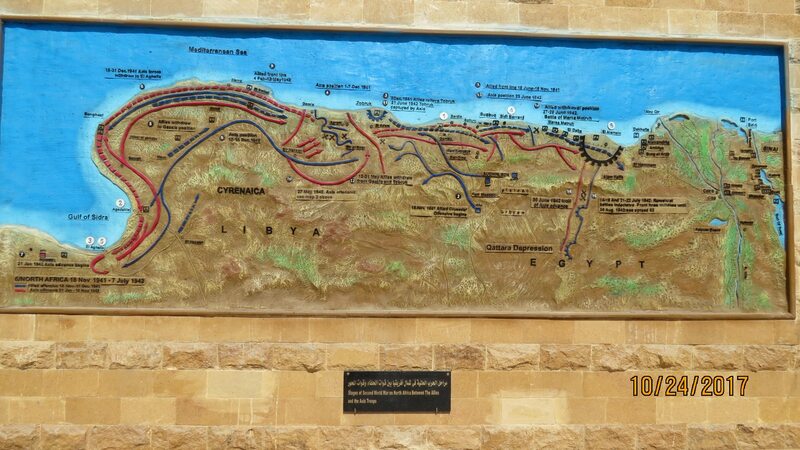 October, 2017 saw the 75th anniversary of the Second Battle of El Alamein; the massive, and ultimately decisive clash between Britain’s 8th Army and Axis forces under Erwin Rommel which took place in the region during the period from October 23rd to November 11th, 1942. 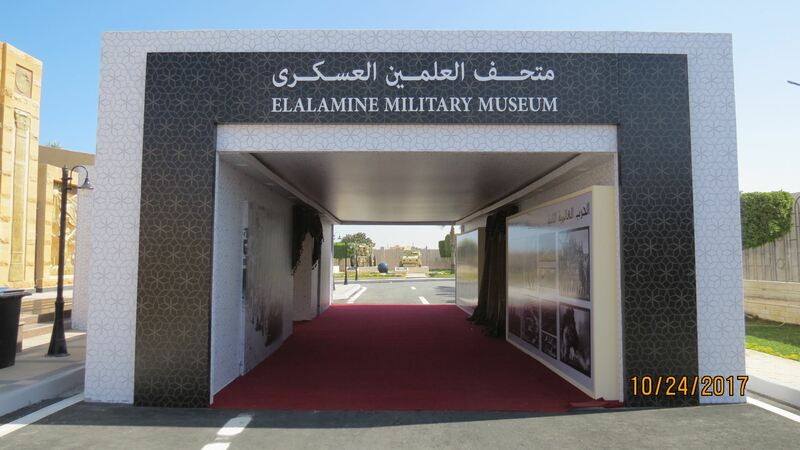 In preparation for the anniversary event, the El Alamein Military Museum underwent a major refit. 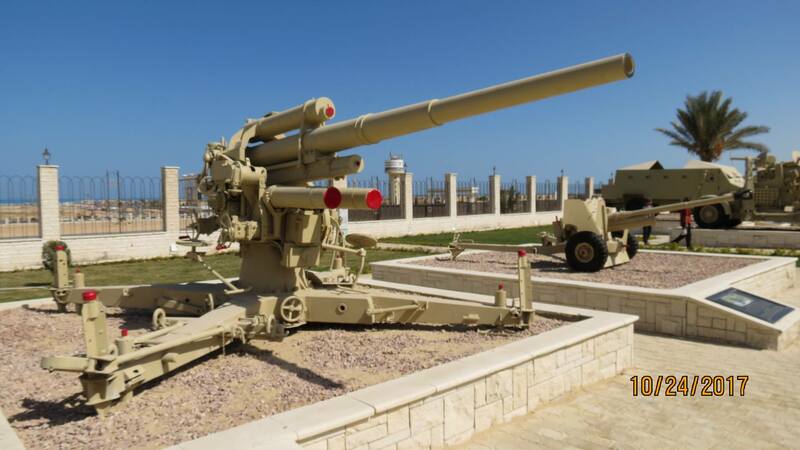 As part of that endeavor, the museum spruced up many of its artifacts, most of which are tanks, trucks and artillery pieces salvaged from the battlefield. Someone must have looked inside the Kittyhawk’s storage container and decided to put the fighter on display as well. None other than General Abdel Fattah al-Sisi, Egypt’s present leader, attended the anniversary ceremony at the museum on October 21st, 2017, so the pressure was certainly on, for all involved, to present something significant for attending dignitaries. 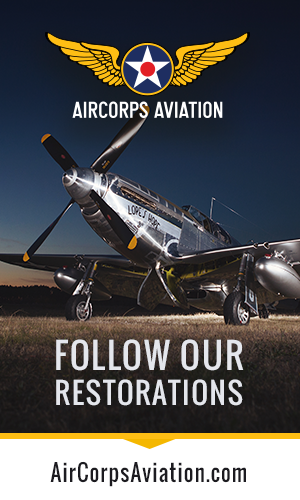 Now comes the awkward part of the story… Rather than display the aircraft as she was found, which would have made for a remarkable and poignant exhibit, the museum decided to “restore” her. 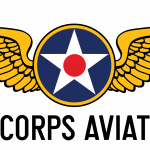 Unfortunately, this was rather crudely achieved, and the overall results will appear shockingly amateurish to the more serious student of military aviation history. But considering how many similarly unflattering “restorations” have been on show in the West during the recent past, we should not be overly critical. 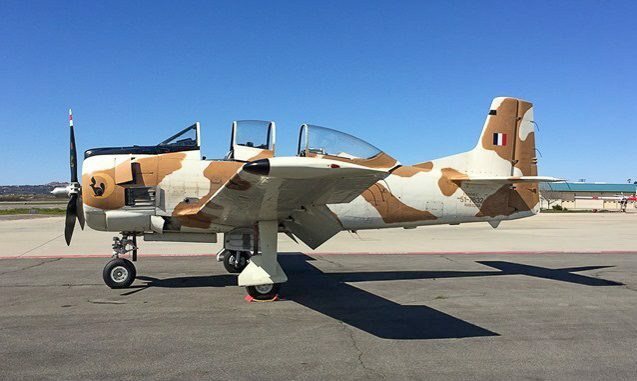 Even now, a good number of warbirds fly with spectacularly inauthentic paint schemes. 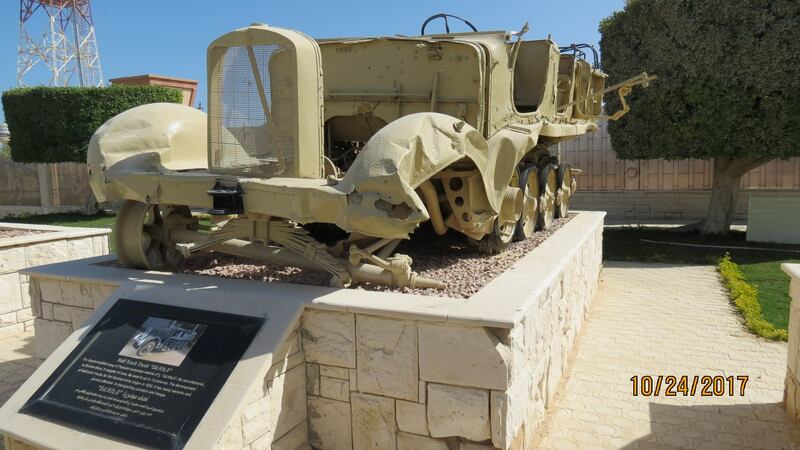 We should also remember that the El Alamein Military Museum was working under great pressure, on a very limited budget, and with no practical access to professional aircraft restoration personnel. Even so, a closer inspection of the Kittyhawk reveals that despite the garish and highly innaccurate paint job, the actual airframe seems very much intact. Yes, the chin cowl is way off, and the rebuild crew used truck wheels as a substitute for aircraft tires, but there is nothing immediately apparent which couldn’t be undone and improved upon with relative ease at a later date. 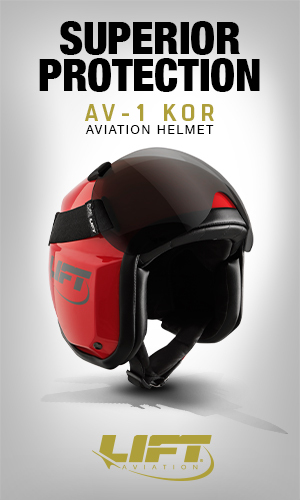 The crucial fact is that the aircraft is safe now, and hopefully will remain so indefinitely. 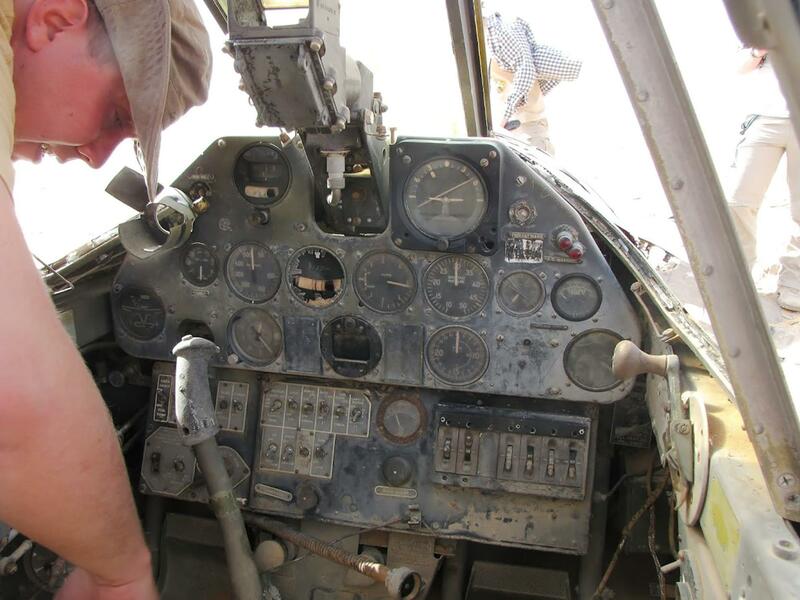 What ET574’s present display has lost though is the heart of her story, the battle scars and weather beaten patina which so effectively represented the sacrifice of her pilot, Flight Sergeant Dennis Copping. 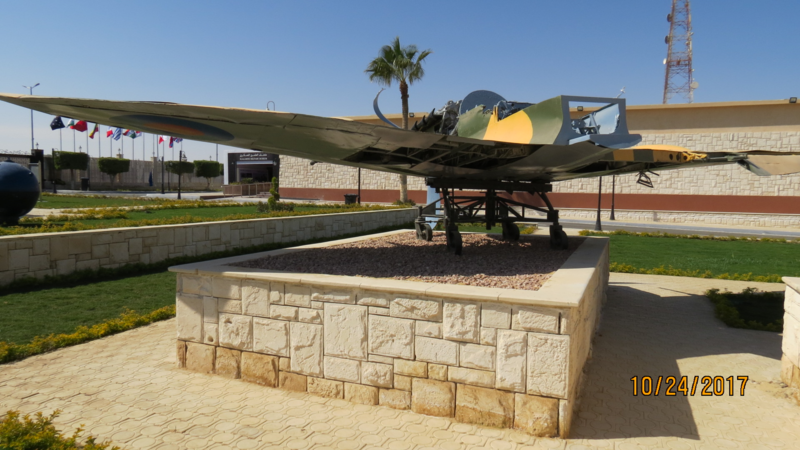 It is his story which has been largely forgotten by the press, and by the El Alamein Military Museum too; they make no mention of him on the plaques beside the aircraft. 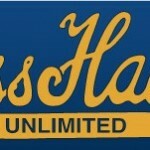 But there is one organization which does pay homage to Copping. 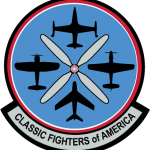 Vintage Wings of Canada in Gatineau, Quebec owns and flies a P-40M Kittyhawk marked in 260 Squadron colors, ironically even with the same squadron codes, HS-B, as Copping’s ill-fated ET574. 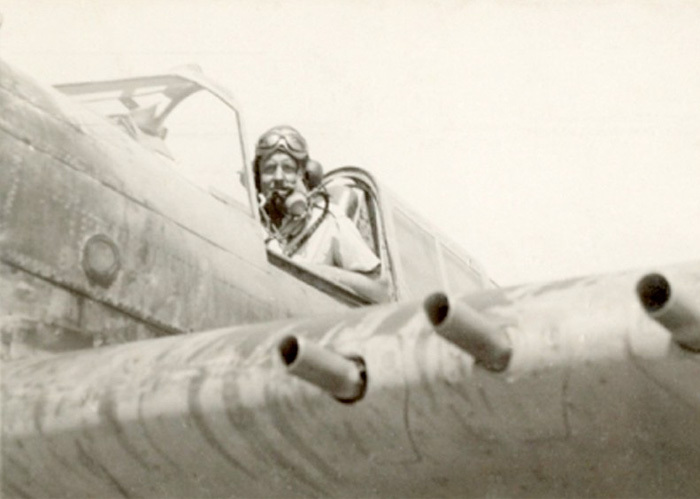 Canada’s greatest living ace, James Francis ‘Stocky’ Edwards, also flew in 260 Squadron, and flew two Kittyhawks marked HS-B: Mk.IA ET574 and a later Mk.III FR350 in which he scored most of his successes. 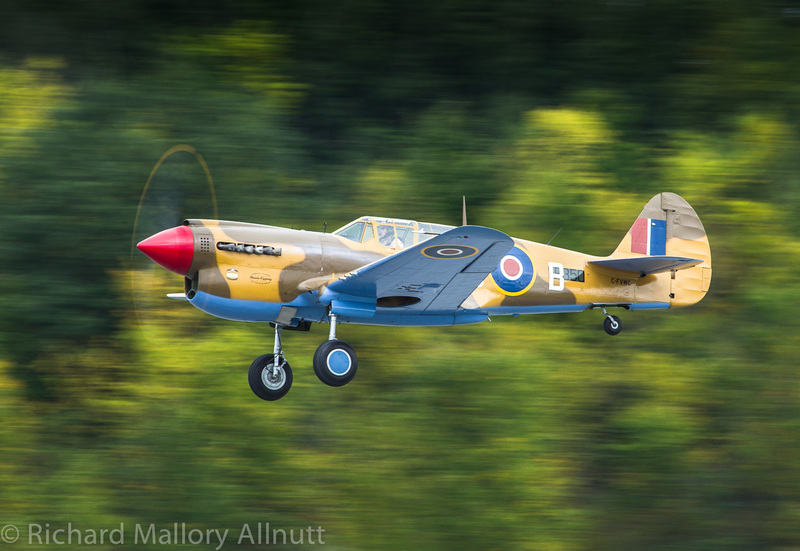 Vintage Wings of Canada paints all of their aircraft to represent specific Canadian veterans, and decided on ‘Stocky’ Edwards’ Kittyhawk Mk.III for their P-40. 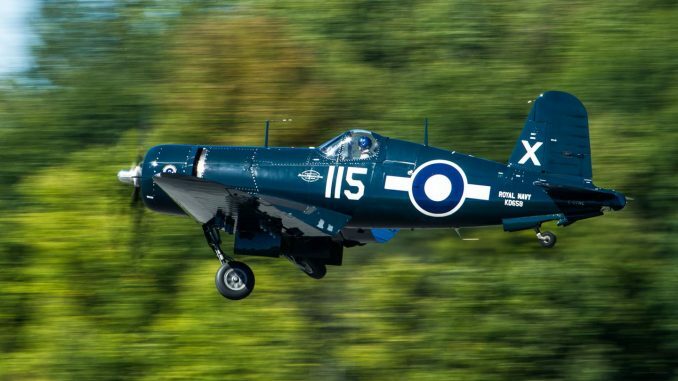 When news about the discovery of Copping’s Kittyhawk first broke, it didn’t take long for Vintage Wings of Canada to connect the man’s memory to their own aircraft’s story. 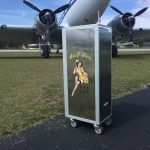 They were so moved by this that they placed a special dedication decal on the fighter’s chin cowling as a permanent reminder. 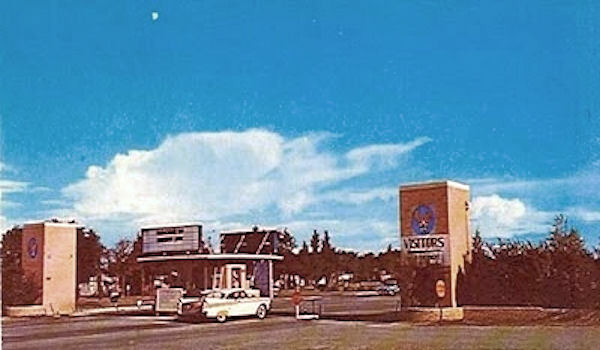 These efforts were documented beautifully in a story HERE by Dave O’Malley, the wonderful gentleman who galvanized Copping’s commemoration (and much credit must also go to Mike Potter, Vintage Wings’ founder and primary benefactor, who made it all possible). Now whenever the aircraft goes before the public, Flight Sergeant Copping’s name is seen by a new gathering of witnesses. He may be long gone now, but he is not forgotten, nor is his sacrifice. Here is a video of the recovery. 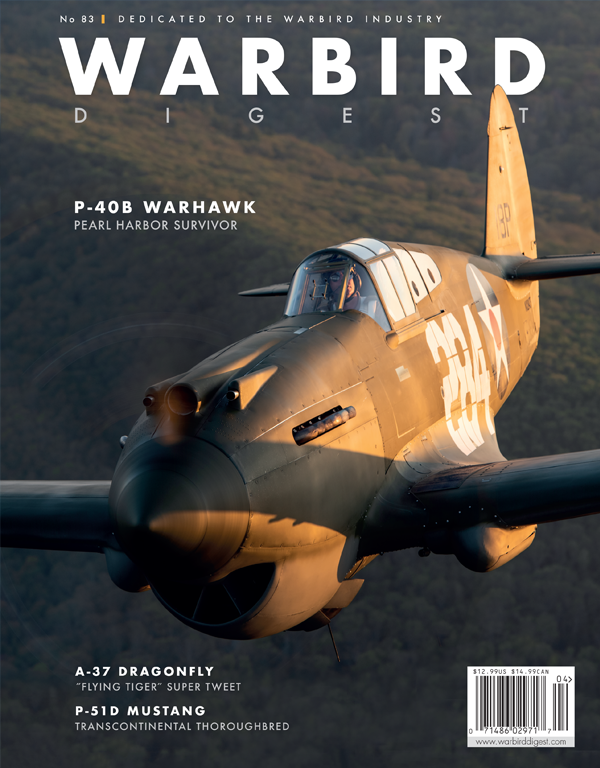 WarbirdsNews wishes to express its profound thanks to Steven Phipps and Jakub Perka for their help with the details and permission to use their fascinating images for this article. 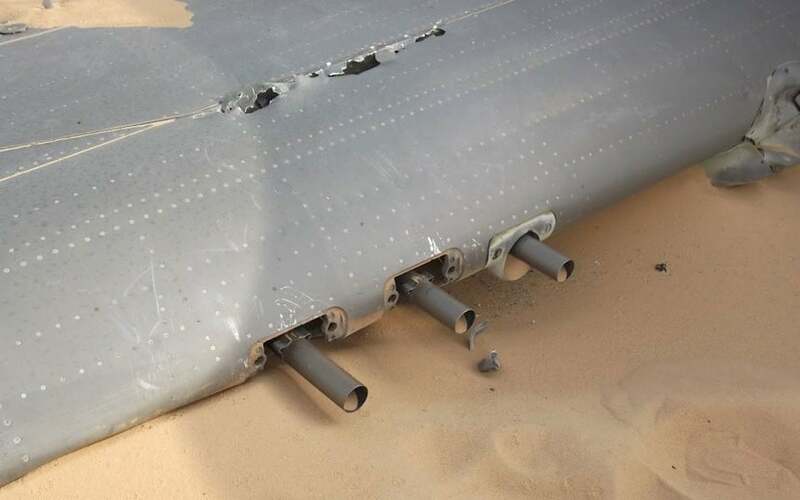 ET574 was damaged by flak on a recon flight a few days earlier which also damaged the undercarriage – it would not be retracted and locked down. 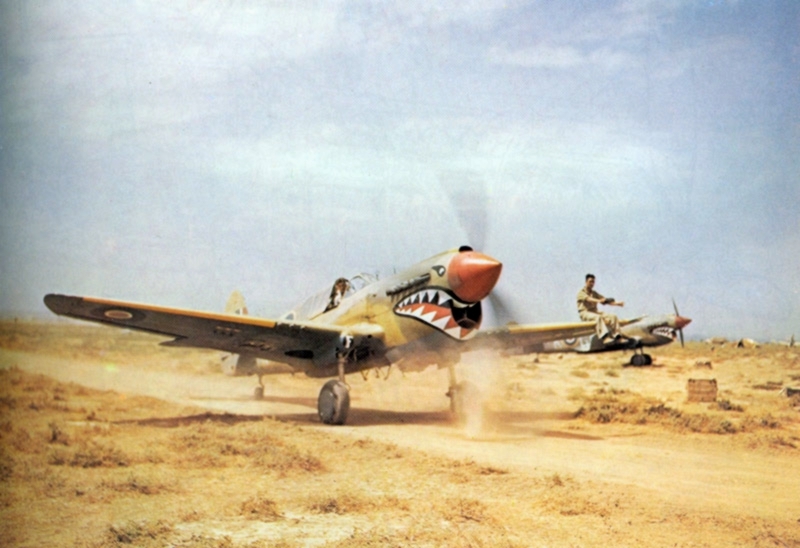 HS-B was flying with another pilot (Sheppard) in another damaged P40 back to a repair depot in Alexandria, Egypt when Copping went the wrong way and could not be persuaded to go east. Sheppard tried everything. Flight was 30 minutes. Copping was hundreds of miles of course when he force landed. Many thanks for the additional details Mark!